We aim to give our tenants and stakeholders as much information as possible. Please bear with us whilst we populate this page. 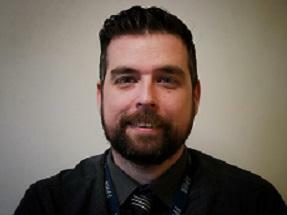 Greg Richardson, Housing Manager deals with the overall day to day running of the Housing Services Department. Vikki Phelps covers the following streets within the estate: Barochan Crescent, Barochan Way, Blackstoun Oval, Candren Road, Dalskeith Road, Dalskeith Avenue, Darkwood Crescent, Kirklea Gardens, Oakridge Crescent, Westwood Gardens, Whitesbridge Close, Woodvale Drive. Katy Girling covers the following streets within the estate: Bankfoot Road, Blackstoun Road, 36 Dalskeith Road, Dalskeith Crescent, Calder Road, Ferguslie Park Crescent, Fergus Avenue, Fergus Drive, Ferguslie Park Avenue, Fisher Avenue, Fisher Gardens, Fisher Drive, Killoch Avenue, Park Lane, Westburn Avenue, Westpark Drive. Margaret Ronaldson deals with housing allocations and new tenancies start ups/home visits for new tenants within the Housing Services department.